There’s nothing ordinary when it comes to Pizza Hut! Nothing ordinary about our product and nothing ordinary about our people. We believe in unleashing our teams’ potential so they can become their best, have fun and make the best out of their Pizza Hut experience. The same philosophy applies when we are treating our guests to their favourite slice of the day. Why be part of our team? We are always out there looking for talented people to be part of one of the biggest teams in the island. With more than 600 employees and an enthusiastic team you will be accepted for everything that you are and most importantly for all you can be! If you want to be part of our team and live the experience then join us now! If you enjoy driving and customer service blended then we are looking for you! 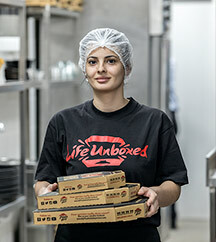 What can be better than preparing the best pizza with the best team? 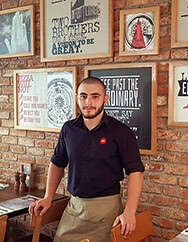 If you want to become part of an international family, learn the Pizza Hut way and advance your career then join our team! For us every guest is unique, and you will be the person to offer them the experience of Pizza Hut. We are proud to serve high quality product with a smile. If you have what it takes then apply and join our team! At our call centre we are all about helping our customers to make the perfect choice for them. a great place to make new friends and gain experience in time management, develop communication and enhance your team work skills. If you have what it takes then contact us. 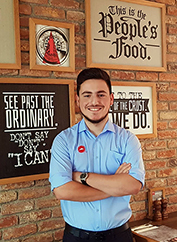 Being part of a Pizza Hut Management team means that you are able to bring on results, work with diverse teams and ensure high quality standards. As a manager you will help others develop their skills and knowledge and challenge yourself everyday in a fast paced environment. I agree and accept that the Company maintains my recruitment application and my resume for a period of 6 months after submitting in order to reassess my application for the same or other suitable job position. Error sending data. Please retry. ** We reserve the right to respond to your request only to the extent of our employment needs. 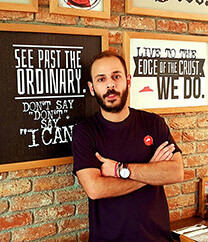 “When I started as a waiter, I never thought I would be promoted as a shift leader. Becoming part of an iconic global brand will help you unleash your potential and be appreciated for all that you are and all that you can be. Whether you are looking out for a part time or a full-time employment we will do our best to accommodate your needs. 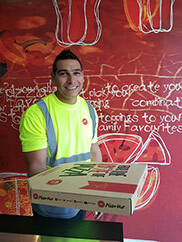 Become eligible for up to 75% funding on your studies with Pizza Hut team. Pizza Hut may not be your only thing but it could be the very thing that makes the rest possible. So become your best, make friends and have fun while building a career in a position you feel confident to express your self and reach your maximum potential. Promotions depend on performance of the employee and based on evaluations.